Posted by admin in activity reports, Batu Tara, Caribbean, Chaitén, Chile, Colima, Colombia, Dukono, Ebeko, Ecuador, eruptions, Fuego, Guatemala, Hawaii, Indonesia, Japan, Kamchatka, Karymsky, Kilauea, Kliuchevskoi, Mayon, Mexico, Nevado del Huila, Pacaya, Papua New Guinea, Philippines, Rabaul, Reventador, Russia, Sakura-jima, Santa María, Shiveluch, Soufrière Hills, United States, Weekly Volcanic Activity Reports. The Smithsonian Institution/United States Geological Survey Weekly Volcanic Activity Report for 21-27 October 2009 is available on the Global Volcanism Program website. The following is a summary and not a substitute for the full report. 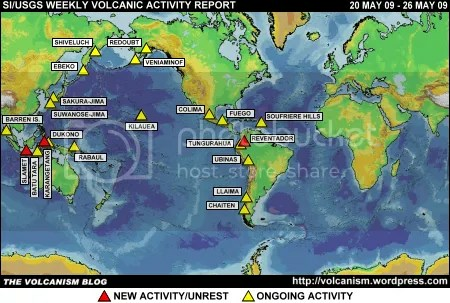 New activity/unrest: Chaitén (Chile), Ebeko (Russia), Kliuchevskoi (Russia), Mayon (Philippines), Nevado del Huila (Colombia), Reventador (Ecuador), Soufrière Hills (Montserrat). 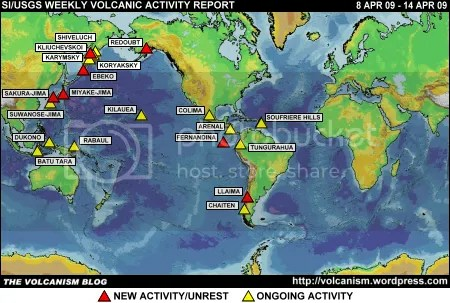 Ongoing activity: Batu Tara (Indonesia), Colima (Mexico), Dukono (Indonesia), Fuego (Guatemala), Karymsky (Russia), Kilauea (Hawaii, USA), Pacaya (Guatemala), Rabaul (Papua New Guinea), Sakura-jima (Japan), Santa María (Guatemala), Shiveluch (Russia). Posted by admin in Colima, Mexico. A new web-based resource is available providing information about the interesting and active Mexican volcano Colima. The Colima Volcano Database, developed by a group of researchers at the Centro de Geociencias at the Universidad Nacional Autónoma de México (with collaborators from other institutions), includes details of the eruptive history of the Colima Volcanic Complex, a hazard map, data from ongoing research, bibliographies, pictures and films. 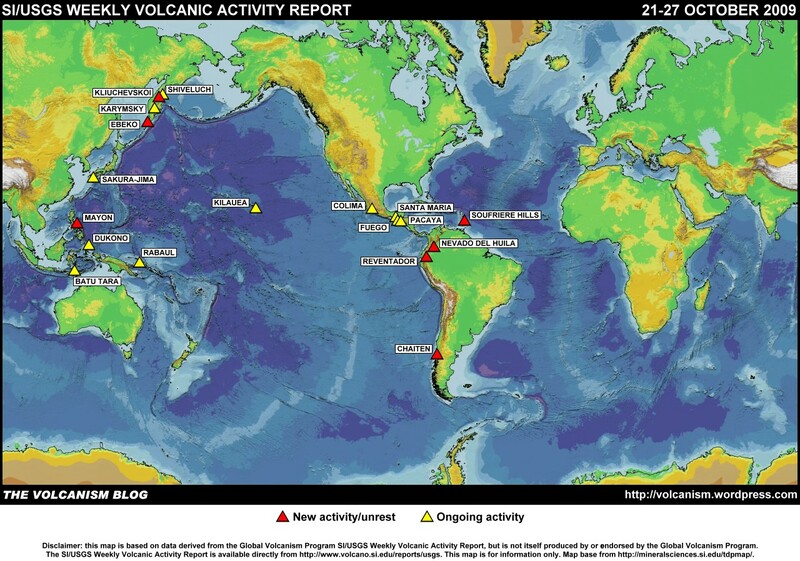 A mapserver is also under development. The site is constantly updated, and new information is requested: anyone who has data, picture or publications not already included is invited to contact the website team who will add it to the database.